We progressed a large number of engineered system builds in January including a large walk-in analyser kiosk for a Life Science Company and six smaller analyser enclosures for Unilever. ThemoFisher purchased new ammonia and phosphate analysers for a final effluent monitoring project, at one of their manufacturing plants. The instrumentation will be part of an integrated package of water quality instrumentation covering all key measurement parameters. 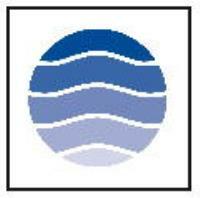 Welsh Water purchased the microtol turbidity instrument for a drinking water application. A commercial bottling plant also purchased a microtol turbidity instrument for their production facility. 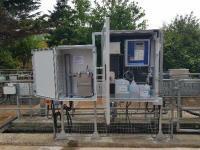 Wessex Water purchased conductivity instrumentation for inlet monitoring at one of their waste-water treatment works. Our Irish distributor has placed an order for a Protoc 300 TOC analyser for a surface water monitoring project. The instrument will be installed in to a GRP analyser kiosk along with our membrane sample preparation system automated with compressed air cleaning. A Chemitec pH meter has also been purchased and it is intended to integrate a conductivity sensor in to the same multi-parameter instrument, in the near future. ThermoFisher purchase Proam ammonia and Chemitec phosphate analysers A separate purchase order has been placed to install new analysers for the measurement of ammonia and phosphate into a large walk-in analyser kiosk, intended for final effluent monitoring and control. The Proam ammonia analyser manufactured by PPM, will provide continuous measurement of ammonia using an ion selective, gas sensing technique. The Chemitec Colortec instrument uses a recognised colorimetric analysis methodology on a regular interval, to report the ortho-phosphate concentration. Both instruments will be connected to a site telemetry system, allowing for real-time control of the treatment process. A spring water bottling plant located in the Midlands has installed a HF microtol turbidity instrument to provide continuous water quality measurement. The nephlometer continuously measures the borehole water using the recognised light scatter technique to characterise physical water quality, at the point of abstraction. The fast speed of response can therefore immediately identify any event which would impact the quality of the water. On-line measurement with outputs to a control system, can therefore proactively manage the production process. PPM supplied the instrument within days of receiving the enquiry allowing the site contractor to install the instrument immediately for the client. Please send me more information on PPM News - January 2018.